Do you want to update Xiaomi Redmi 2 to cyanogenmod 13? Then this post will help you.In this post we will teach you how to update Xiaomi Redmi 2 to cyanogenmod 13 which is based on marshmallow.So lets start with updating Xiaomi Redmi 2 to marshmallow. Today we will give you the best custom rom for Xiaomi Redmi 2 which is based on marshmallow. Before updating Xiaomi Redmi 2 to cyanogenmod 13 lets have a look at its specification. Redmi 2/2A/Prime currently runs on MIUI 7 and if you want to experience some thing new on your Redmi 2/2A/Prime then you can install cyanogenmod 13 on Redmi 2/2A/Prime. Charge your Redmi 2/2A/Prime to 100%. First download the marshmallow based cyanogenmod for Redmi 2/2A/Prime FROM HERE. Now boot your Redmi 2/2A/Prime to CWM mode. 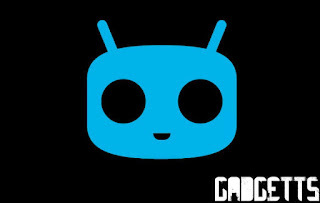 Installation of CyanogenMod 13 on Redmi 2/2A/Prime will take some time. So this was our guid on updating Redmi 2/2A/Prime To cyanogenmod 13.